No, it’s not Soylent Green. This is just Hubby’s way of making sure this lid isn’t used for cat food. 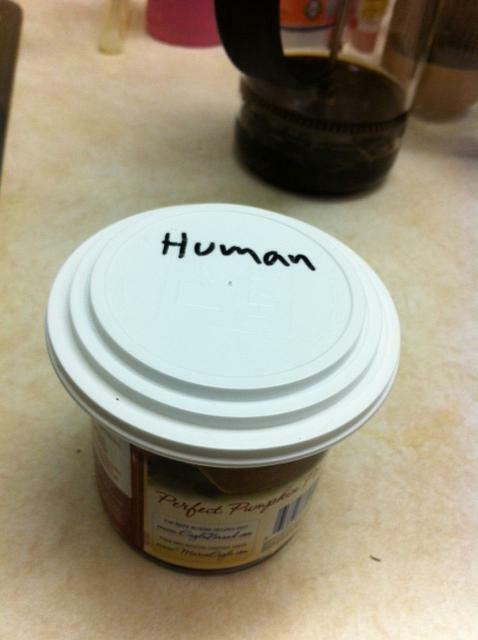 This entry was posted in Humor and tagged funny, Humor, pet food, Pets, photo, Soylent Green. Bookmark the permalink. You beautiful cannibals you . . .